Fortnite has just entered into Season 6, and there are a bunch of changes. Among the many new things, the patch notes mentioned new ‘floating islands’ on the map, but so far there was only one — a huge chunk of Loot Lake which was raised into the air by the Cube that apparently didn’t melt inside the lake. 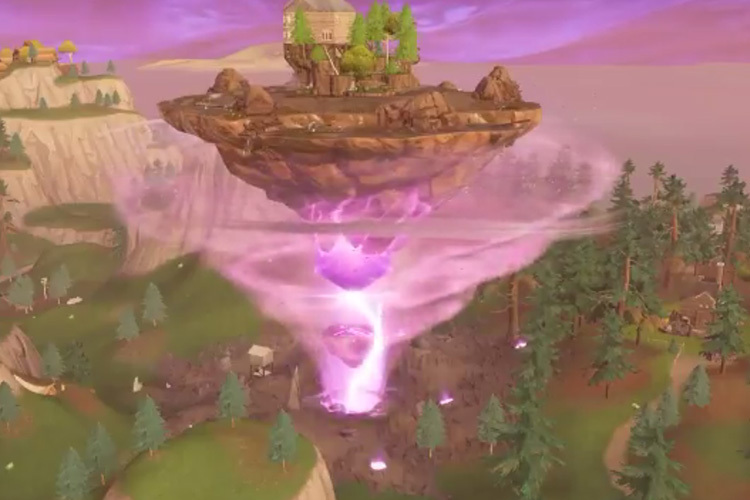 That particular floating island has been moving around the map, and underwater-Kevin has finally reached the first rune among the ones it left printed on the map, pulling it up into the air and causing it to float as well. The event took place at the rune near Pleasant Park, and has been caught on video by a bunch of players. Other than there being two floating islands on the map now, the land pulled out of the ground has left behind a crater that propels players into the air when approached — a pretty neat way of getting up into the air without having to use launchpads or something similar. It looks like the Cube will now revisit all the runes it left on the map and turn each of those places into floating islands as well. Seeing as Kevin left seven runes on the map, it still has six more places to go before, probably, coming back to rest atop Loot Lake’s massive crater (which also propels you into the air, by the way). If you haven’t had a chance to check out Season 6 yet, get on that Battle Bus! Exciting changes await.